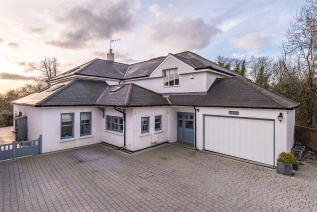 Borders is a stunning property renovated and extended to an exceptional standard by the current owners to provide extensive accommodation reaching over 4,500 sq ft. 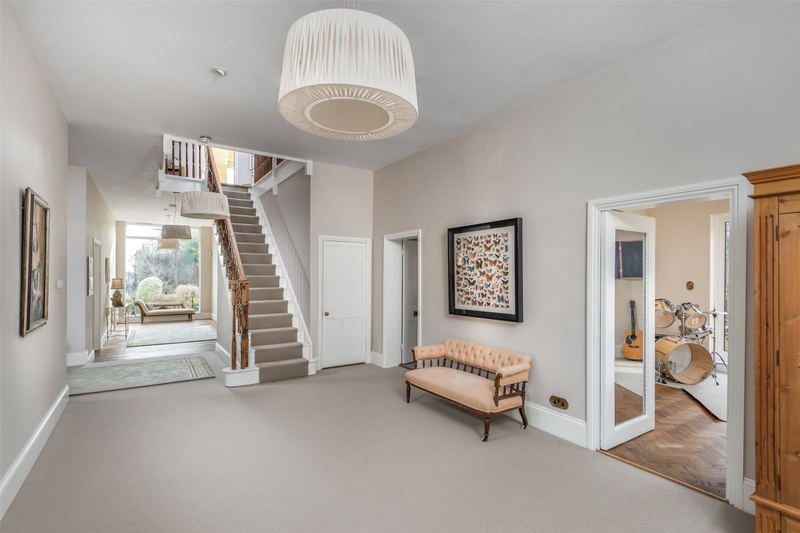 The original property was built to incorporate the ball room for the original Batts Hill House and as such has some lovely period features including extremely large rooms with beautiful high ceilings with large windows allowing extensive light to enter the property. The accommodation opens into an amazing entrance hallway that runs through the heart of the property with a feature length window at the other end of the hall overlooking the garden. 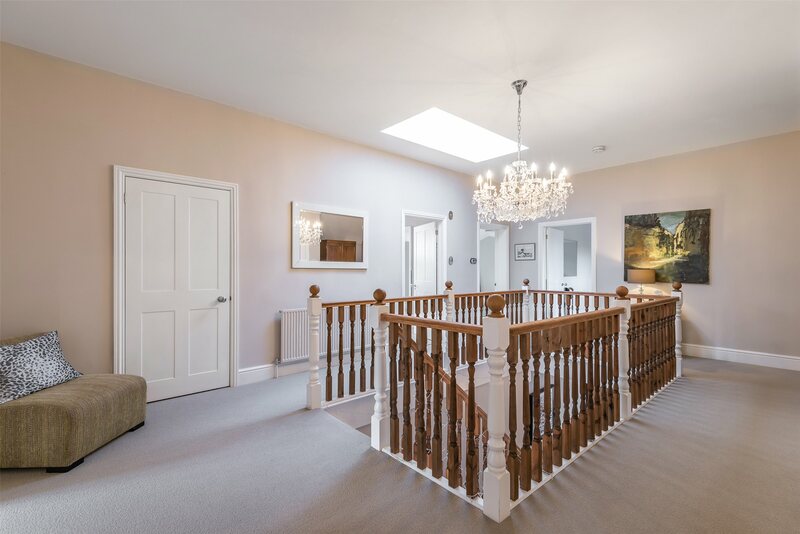 The primary reception rooms are accessed from here and include a fabulous living room with feature fireplace and sliding doors out to the rear garden, a good sized kitchen with separate breakfast area with vaulted ceiling with ceiling lanterns and access through to a boot room and WC to the back of the property. 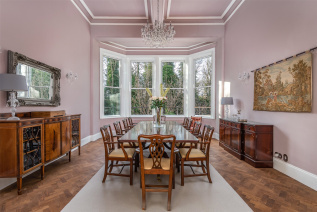 Across the hall there are several further reception rooms, the most substantial being an exquisite dining room with the original ballroom full-height ceiling, oak parquet flooring and a large bay window. 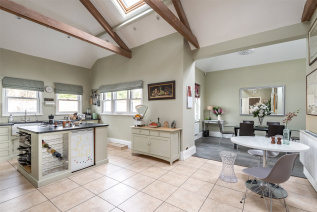 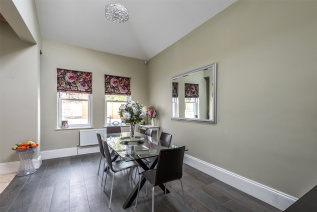 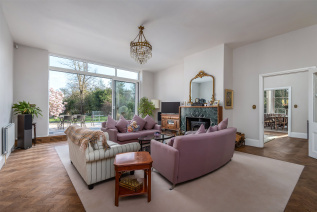 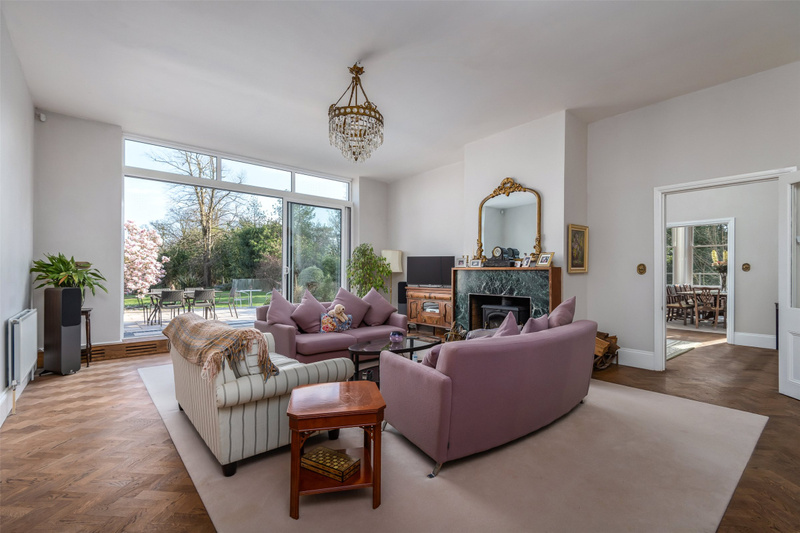 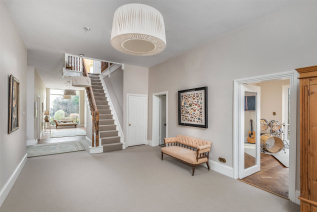 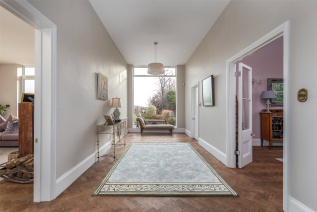 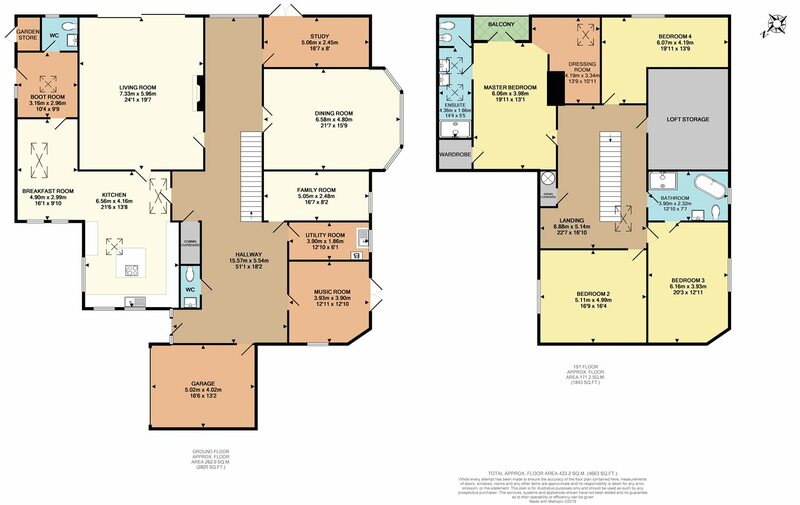 There are also two similar sized reception rooms flanking the dining room which are utilised as a study with double doors leading to the garden and a family room/TV room. Also to this floor is a large utility room, a second downstairs WC and a music room or bedroom five (as required) with double doors leading onto a west facing terrace. An impressive staircase leads to the first floor with the bedrooms all situated around the galleried landing. 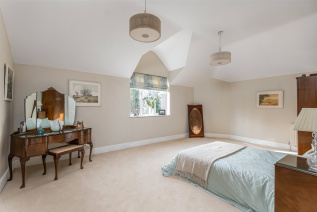 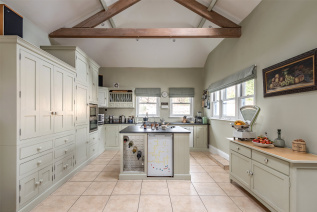 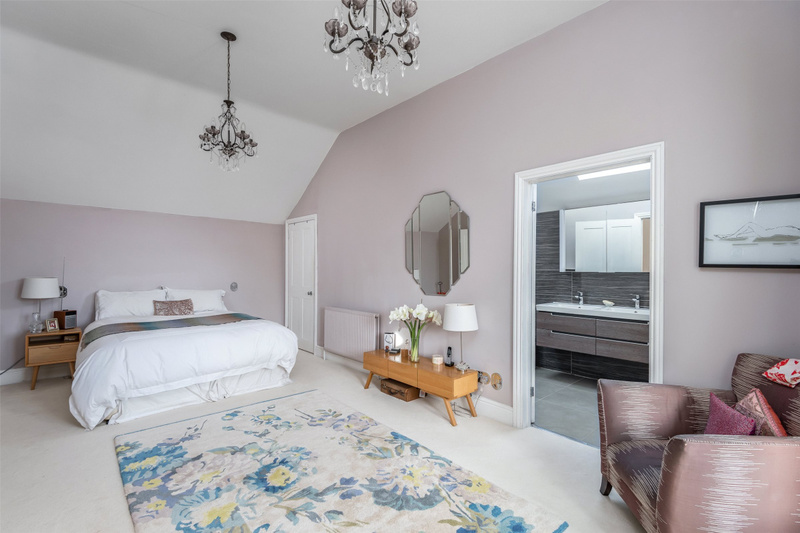 The four bedrooms on this floor are all substantial double rooms with the master suite being of particular note with a large dressing area and a beautiful en suite shower room with his and hers sinks, freestanding shower unit and separate WC. The master bedroom also includes a covered balcony area which enjoys views out onto the garden. 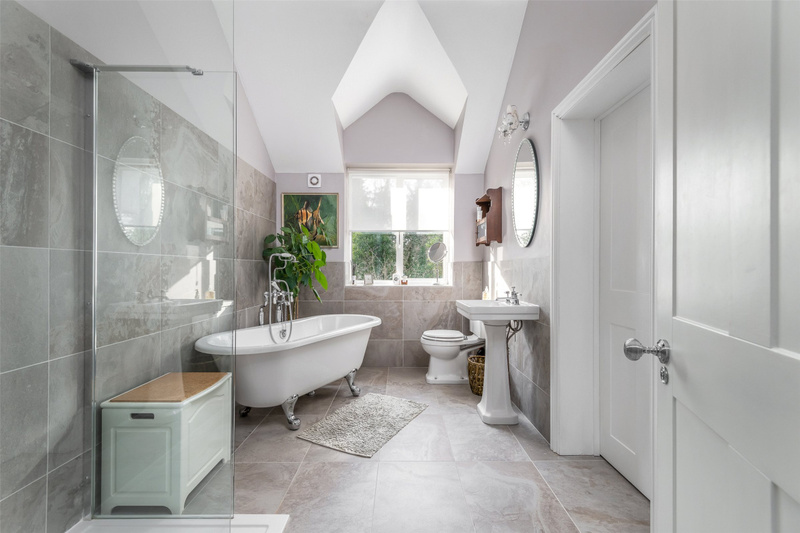 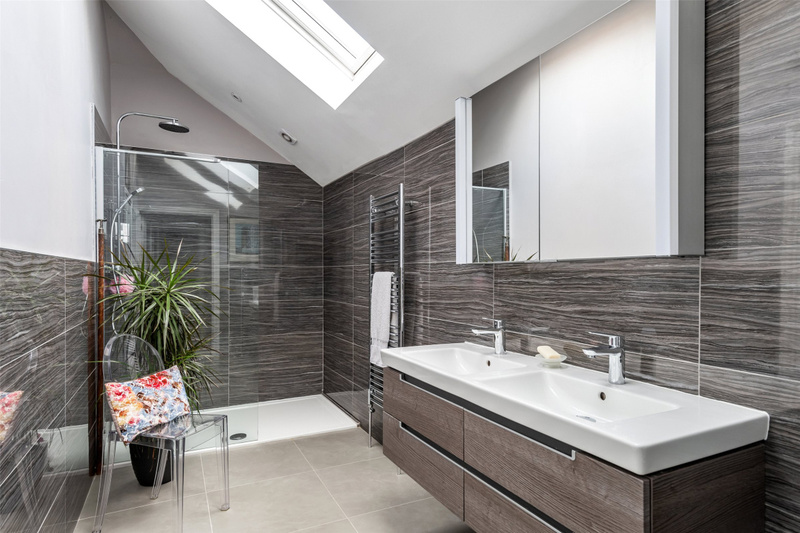 There is a stylish and contemporary family bathroom with free standing bath, separate shower and high quality fittings throughout. 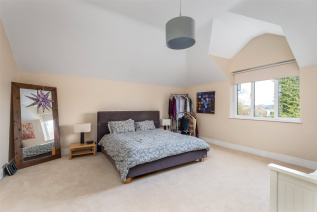 There is also easy access into an extensive loft storage space to this floor accessed from the landing. 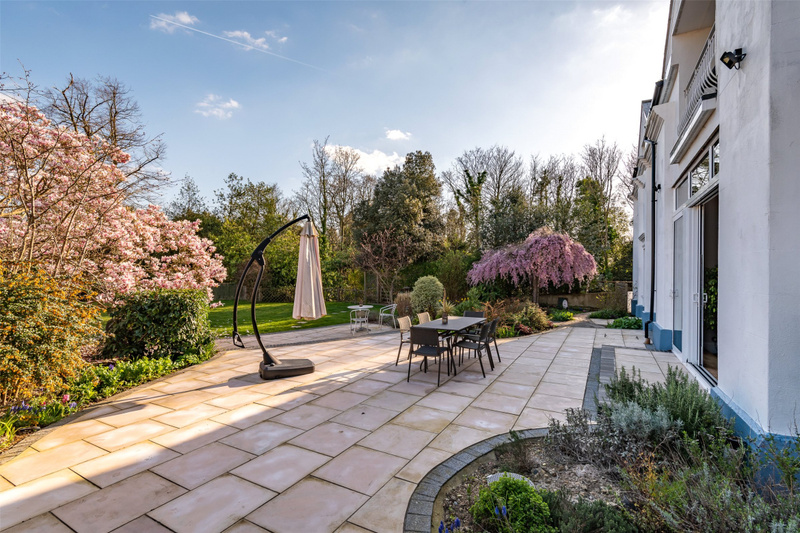 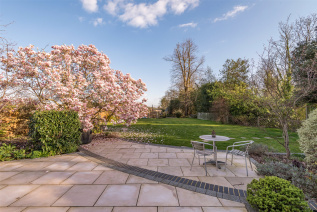 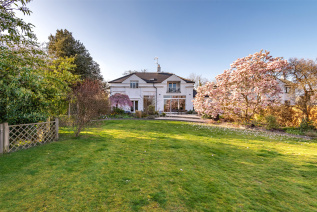 Externally to the rear of the property is a beautiful rear garden with large paved terraced seating area, good expanse of lawn and many mature bushes and shrubs to the borders. 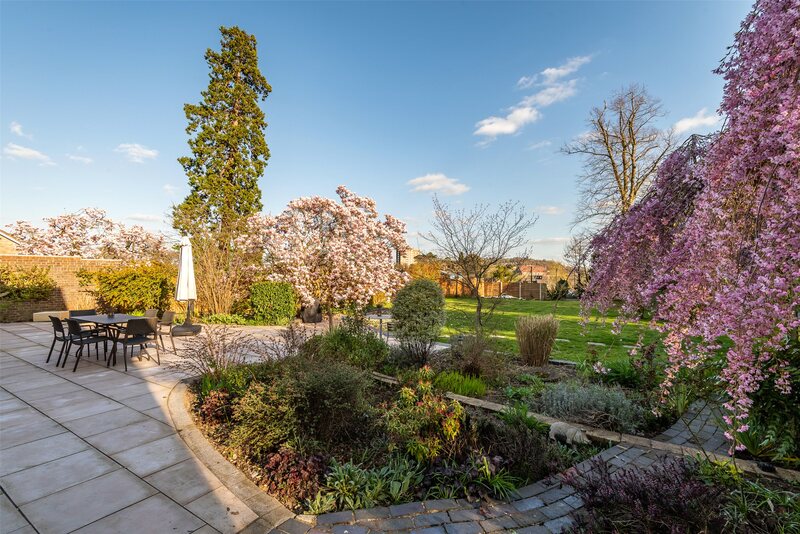 There is side access around the property with a west-facing terrace off the music room with the main garden enjoying a south-easterly aspect. To the front of the house the driveway offers ample parking for a number of cars. From the garden is a private, secure and lit path which leads down to the bottom of Batts Hill giving good access to the local amenities.